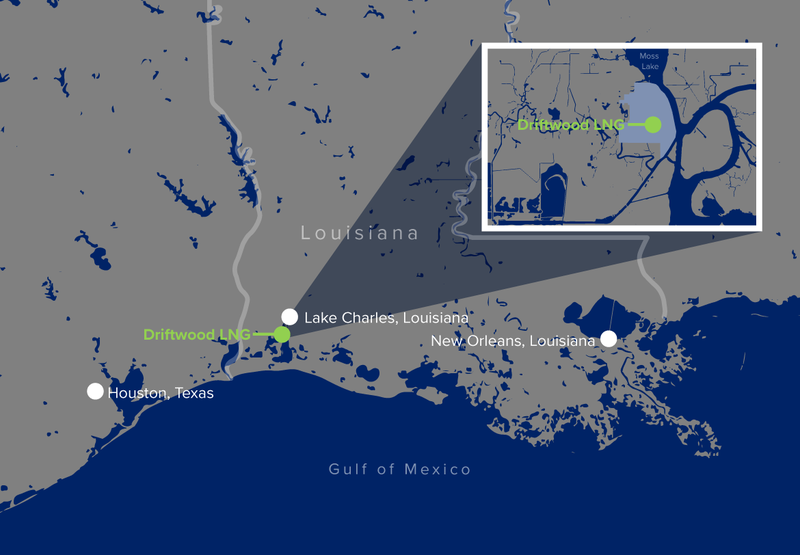 U.S. liquefied natural gas (LNG) company Tellurian Inc said on Wednesday it expects to start construction on its Driftwood LNG export terminal in Louisiana in the first half of 2019 and begin operations in 2023. Chief Executive Meg Gentle said in the company’s third-quarter earnings that Tellurian will announce partners in the $27.5 billion project by the end of 2018. Driftwood is one of dozens LNG export projects under development in the United States seeking customers so they can start construction and enter service over the next decade to meet growing global demand for the fuel. U.S. LNG exports have almost quadrupled from 183.9 billion cubic feet (bcf) of natural gas in 2016 to 706.4 bcf in 2017, worth about $3.3 billion, and are on track to top 1,000 bcf in 2018, making the country one of the world’s biggest exporters of the super-cooled form of natural gas. One billion cubic feet of gas is enough to fuel about 5 million U.S. homes for a day. Including plants under construction, U.S. LNG export capacity is expected to jump from 3.8 billion cubic feet per day (bcfd) now to 5.2 bcfd by the end of the year, 8.9 bcfd by the end of 2019 and 10.3 bcfd by the end of 2020. Tellurian said about 35 customers were interested in partnering with and buying gas from the project. Unlike most other proposed U.S. LNG export projects that will liquefy gas for a fee, Tellurian is offering customers the opportunity to meet their gas needs by investing in a full range of services from production to pipelines and liquefaction. In addition to the LNG terminal, Tellurian is also developing pipelines to transport gas from shale formations in Texas and Louisiana to LNG terminals and other Gulf Coast customers. The company has proposed to put two of those lines into service in 2022 - Permian Global Access and Haynesville Global Access. Tellurian’s partners include Total SA, General Electric Co and Bechtel, which has a $15.2 billion contract to build the liquefaction facility at the center of the project. Pipelines, reserves and other costs make up the rest of the $27.5 billion price tag of the project. Driftwood will have capacity to produce 27.6 million tonnes per year of LNG or about 4 bcfd of gas.